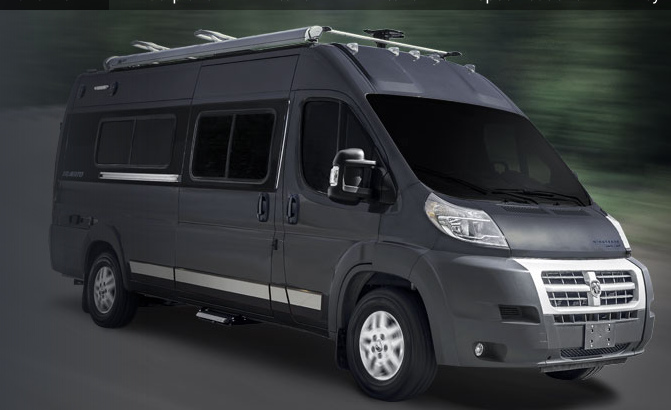 Luxury and strength have been combined in the absolutely perfect Winnebago Travato Class B Motohome. With high-end features and Mercedes-powered reliability that set this stunning ride high above the rest, the Travato will be a part of your memories for years to come. Designed with an innovative use of space, the Travato affords you the legroom you want all in an agile ride that will take you everywhere you want to go. And thanks to the inclusion of SmartSpace features, all your necessities will be towed away safely while still staying easily accessible. A clean-lined model that allows you to bring all your gear, the Travato is high class design at its finest — it’s ability to take you from the mountains to the beach is just an added bonus. Built on a am ProMaster 280-hp, 3.6L V6 gas engine with a 6-speed automatic 62TE transmission the Travato has the strength to take on any road. And with a luxury cab that puts you in a fully-adjustable seat, the drive will be as enjoyable as the stops. When you do stop to rest, the Travato’s flexible arrangements make relaxation a breeze. Want to entertain guests with your favorite songs in the background? Turn on SiriusXM and turn around the cab seating for a more conversational layout. When it’s time to sleep, easily convert you sofa into a plush bed and rest peacefully on the Deluxe Froli Sleep System. Its under mattress air ventilation and articulated air flow surface mean your body’s temperature stays comfortable while you sleep, and that means a better night’s sleep for you. 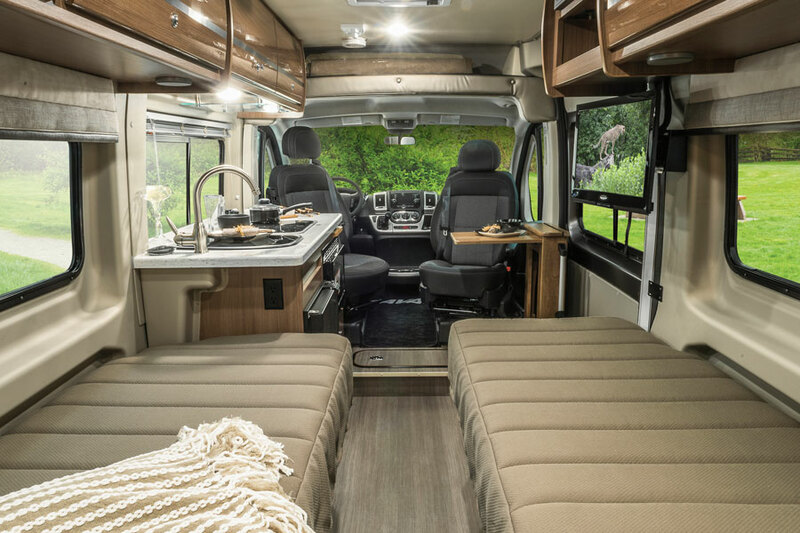 Powerful, beautiful, and a brilliant design make the Winnebago Class B Travato Motorhome a popular model for adventurers and nature-lovers alike. Contact us today for more information about this fantastic model!